THIS ONE IS SOLD, HOWEVER, PLEASE CONTACT US AND LET US KNOW WHAT YOUR VEHICLE NEEDS ARE AND WE WILL WORK TO FIND YOU THE RIGHT VEHICLE. 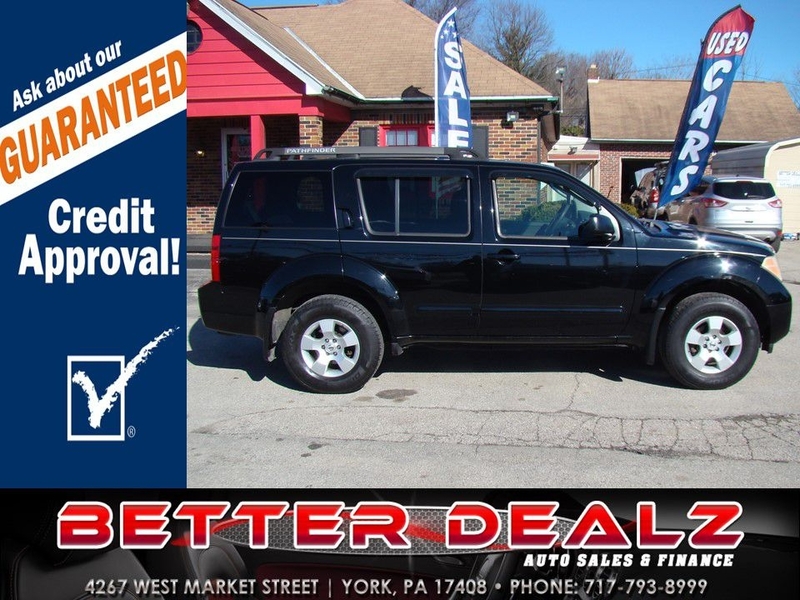 Come and get this very nice 2007 Pathifinder today!!! It has 3 rows of seating, Power Windows, Power Door Locks and much more!!! Apply today for YOUR GUARANTEED CREDIT APPROVAL!!! Message: Thought you might be interested in this 2007 Nissan Pathfinder.